A 7-day Drupchö (extensive prayer ceremony) for Dorje Phagmo, or Vajravarahi, a form of Vajrayogini, is being held through August 30, 2018 at Ayang Rinpoche’s monastery in Bylakuppe. Vajrayogini is one of the main deities for self-visualization in Ngöndro (preliminary practices) and other generation stage meditations practiced by all the lineages in Vajrayana Buddhism. 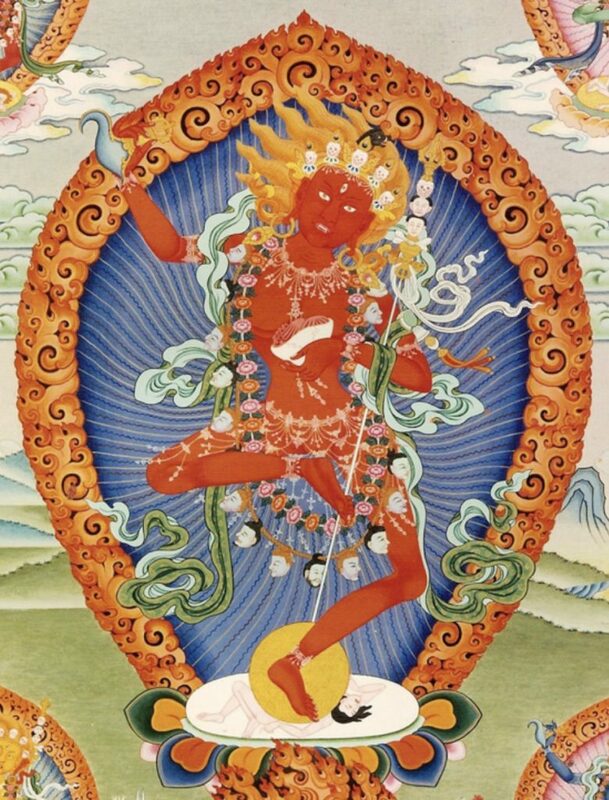 The main guardian deity of the Drikung Kagyu lineage, Achi Chökyi Drolma, is an emanation of Vajrayogini. Those who would like to make an auspicious connection with the Vajrayogini Drupchö may send their donations to the Drikung Charitable Society account. For a tax deductible donation in the U.S., please send your check to the Amitabha Foundation, P.O. Box 2572, Aptos, California 95001, or donate online below. You may send names for dedication to info@amitabhafoundation.us until August 28 at 5 PM Pacific time. Donations are welcome at anytime. Information about annual Phowa teaching in Bodhgaya and the Bodhgaya project. Considered the world's living Phowa master – a lineage-holder of both the Nyingma and Drikung Phowa he continues the unbroken line of Drikung Phowa lamas from Buddha Vajradhara. 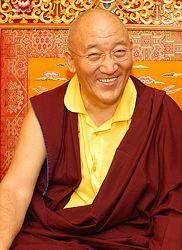 HE Choeje Ayang Rinpoche © 2005-2019 All Rights Reserved.